My contribution to the Diva Challenge #254. The tangle is Lollywimple. You can find a link to it from my mandala which also uses this tangle. 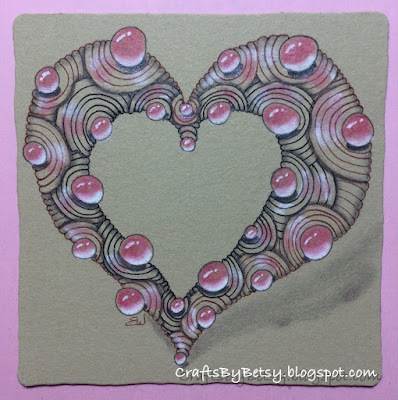 My Valentangle on a Zentangle® tan tile using black and brown Sakura Pigma microns. I also tried out a Graphik gray. 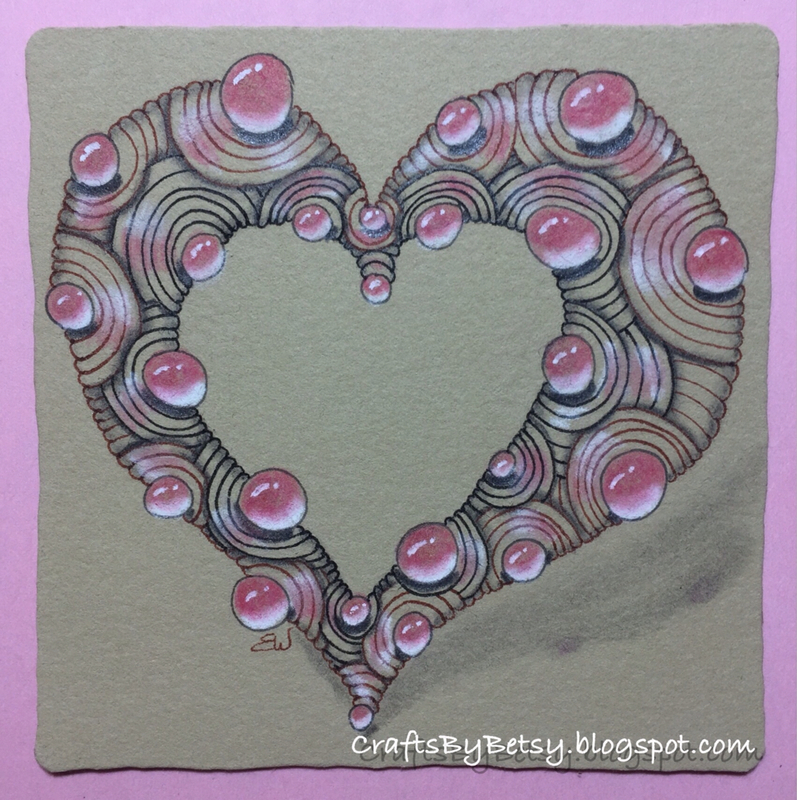 I used three shades of pink polychromos along with a General's white charcoal, Cretacolor graphite and Gelly Roll white ink. Happy Valentine's Day! Betsy, I love this. The gems and shading is beautiful. Makes me want to play around. Wow! So lovely! I love the "bubbles" in rose - so delicate! WOW, no more words needed. Wonderful, those bubbles are awesome. What a great Valentangle. Just one word ... STUNNING! !